Often times people who want to go into the film industry are forced to decide whether or not they should attend film school. There are a lot of benefits for going to film school, which was explained in last week’s post, but there are also negative aspects of going to school that you have to take into consideration. Attending college in no way is a bad thing, however there are certain responsibilities and sacrifices you make in order to graduate with a diploma. 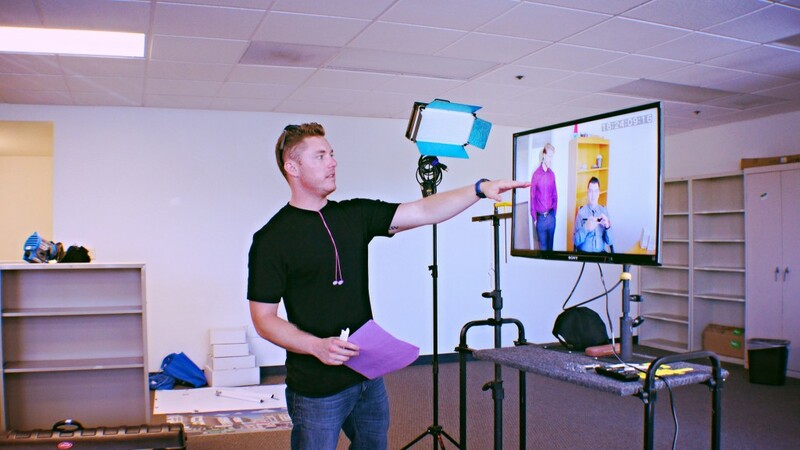 With access to online books, the library, online classes, and YouTube videos, it is very possible to learn everything you’ll learn in film school by using the resources available to you. Debt – One of the biggest factors most people use when deciding whether or not going to college is the debt that can accumulate. Pretty soon after you shake hands with the president or dean of your school, and receive your diploma, you will need to start paying off the debt. Not everyone gets jobs directly out of film school, and you will need to find a way to start making money. Some people are fortunate enough to get jobs right out of college, or at least start freelancing, but is tens-of-thousands-of-dollars of debt something you really want to be responsible for? Experience – The four years you spend in school could have been spent working on set. As mentioned in our previous article, networking is the most important thing you can do as a filmmaker. Most of the time you network while you are on set, working on a production. As long as you are respectful and get your work done, most people will want to continue to work with you. 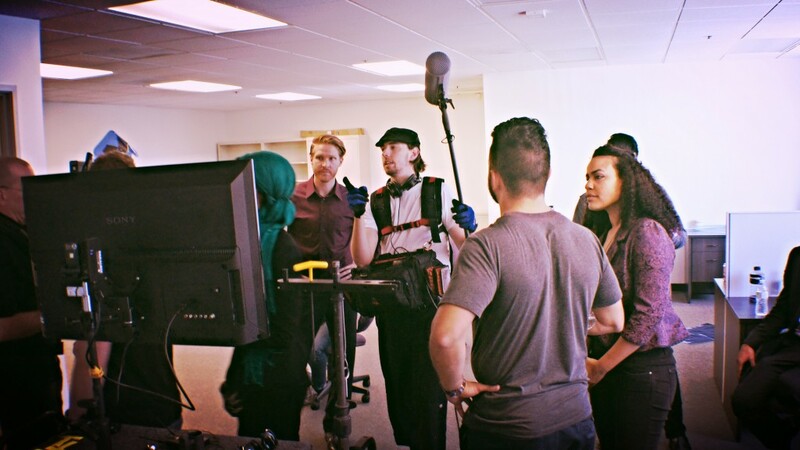 Working on a real production with a legitimate crew is also something that future employers look for. Having a degree is helpful, but working with well-known directors and actors on a popular movie or show can be equally as helpful. Even if you are starting as a production assistant or intern, being able to list famous movies on your resume can make or break a producers decision to hire you. Taking other classes that don’t interest you – Another problem with college is that for almost your entire freshman year (and later years as well) you are forced to take classes on other topics. This is great for people to learn a general knowledge of varying topics, as well as for those who don’t know what they want to major in, but for someone who knows they want to go into the film industry this can be a huge waste of time and money. For every minute you are writing a ten page essay about the scientific method you could be working on a screenplay or editing your latest short. Forced to work on projects that don’t interest you – Often times in beginning film classes, you are paired up with people in your class to work on a project. You may be forced to take on the role of a grip when you know you want to be a director. Working in the film industry you have to be a team player, and by working these other positions it expands your knowledge of the set as a whole, but sometimes you are forced to work with people who aren’t as knowledgeable or hard working as you, and you are forced to work on a project you know will never lead to anything. Taking classes on a set schedule – One problem with film school is that everyone is at different levels when they start. Unlike a lot of other majors, when you first go into your intro classes, everyone has a different skill set. Some people barely know how to operate a camera, while others have been making films since they were little. Going to film school forces you to learn at a set pace, rather than at your own, individual pace. You may be forced to sit through a year of classes lecturing about topics you have taught yourself about and a year or two can go by before you are finally being challenged. Class – Lets face it, everyone learns their own unique way and some people just don’t benefit from going to class. Part of being in the film industry is getting hands on – real world experience, something that you simply can not learn from a text book. Being successful in the film industry means you have both a fundamental knowledge of film production techniques, but also a firm grasp on film etiquette and how to work with others. You can learn the production techniques from a professor, but until you get out onto a real set and work with the equipment and are under a deadline, you will learn things you simply can not in class.